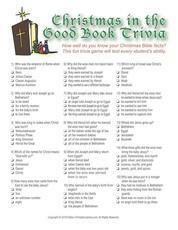 Are your friends, family or kids trivia buffs? 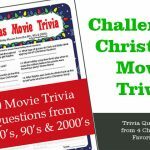 Will they enjoy a Christmas Trivia Game challenge? 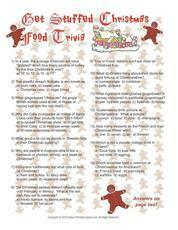 Well then this page is for you as we have pulled together printable Christmas trivia and quiz games and do it yourself Holiday trivia ideas for your party. 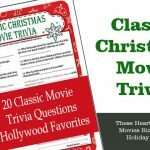 If you are short on time, you’ll want these ready to go Holiday trivia games that include Christmas Riddles, Trivia about the movie It’s a Wonderful Life, Christian Trivia on the Baby Jesus, The many names of Santa Claus, Christmas movie characters, reindeer and more. 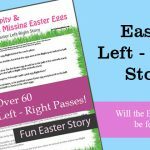 Want to create a unique trivia game or experience for your family, friends and co-workers? 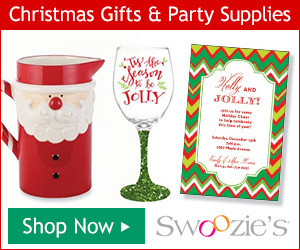 Well we have a few party game items to help you started in making your own trivia game. 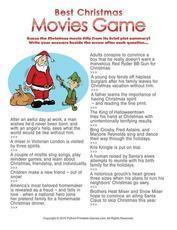 Know in advance that making an original game and a personalized one does take time but it is often very gratifying. 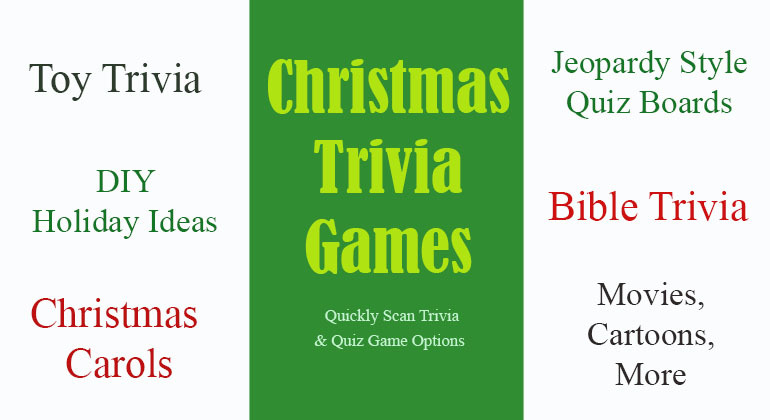 Here are our DIY Christmas trivia games. 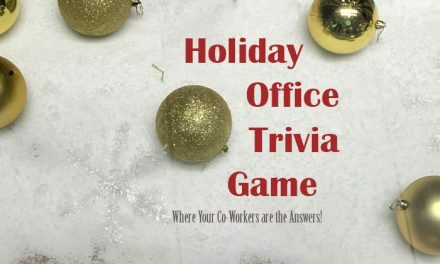 Holiday Office Trivia Game – The game where co-workers are the answers to these trivia questions. 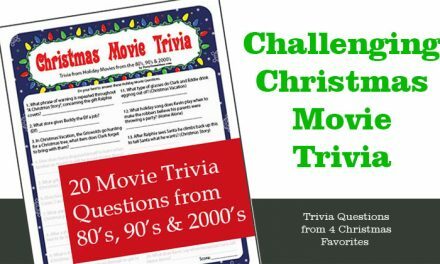 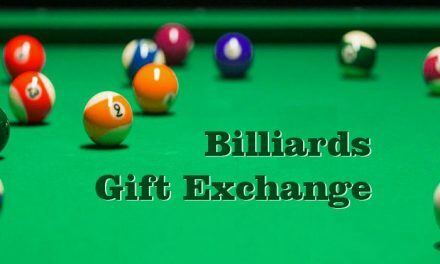 Holiday Trivia Gift Exchange – Create a unique gift exchange based on who knows the trivia questions. 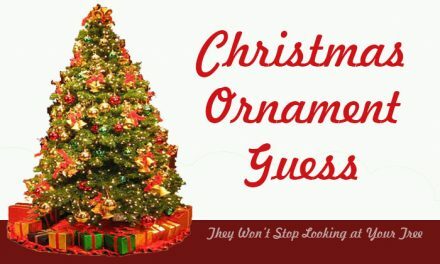 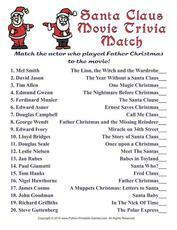 Name That Christmas Carol – Use music to create a Christmas music game. 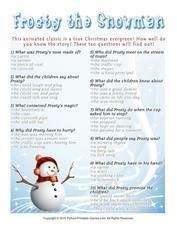 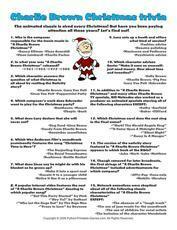 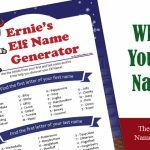 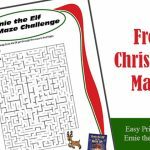 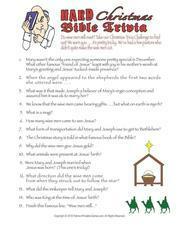 Additional Printable Christmas Trivia Games that might meet your needs but sold by an another web site.